These release notes describe the new features, improvements, and fixed issues in Web Help Desk 12.7. They also provide information about upgrades and describe workarounds for known issues. If you are looking for previous release notes for Web Help Desk, see the Previous Version documentation. WHD 12.7 offers new features and improvements compared to previous releases of WHD. The Client Profile window now includes a new interface. 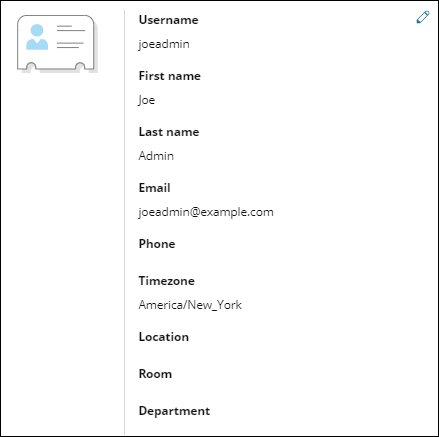 You can add custom fields for additional user details, and select a room, location, and department for each user. The new Create FAQ editor includes a new interface and provides additional tools for creating and editing your FAQs. The updated editor also allows you to drag and drop images into your Mozilla Firefox and Google Chrome web browsers. The History window in the Client interface now includes filters that allows clients to sort their tickets based on status and request type. The new drop-down menu provides additional sorting options, allowing clients to sort the ticket history by updated status, ID number and subject. This release includes Open Java Development Kit 11 (OpenJDK 11), an open source implementation of the Oracle Java platform. Beginning with Web Help Desk 12.7, the Oracle Java SE 8 software will no longer be available for Web Help Desk without a commercial license. All future Web Help Desk releases will include OpenJDK, which is a free and open-source implementation of the Java Platform. See Java SE General FAQs on the Oracle website for details. For information about installing Web Help Desk see the Web Help Desk Installation Guide. This guide includes checklists to help you prepare and complete your upgrades, gotchas, and troubleshooting steps. If you are upgrading from a previous version, see the Web Help Desk Upgrade Guide. This guide includes checklists to help you prepare and complete your upgrades, gotchas, and troubleshooting steps. The SolarWinds Web Help Desk software installer includes Apache Tomcat 9.0.13, which provides enhanced security and is required for this release. When you upgrade your Web Help Desk software, the upgrade procedure replaces the SolarWinds Web Help Desk software installer includes Tomcat 9.0.13, which provides enhanced security and is required for this release. When you upgrade your Web Help Desk software, the upgrade procedure replaces the <WebHelpDesk>\conf\tomcat_web_template.xml file with an updated file that includes the Tomcat 9.0.13 settings. WHD 12.7 fixes the following issues. Tickets related to assets no longer requires an extended amount of time to display in the user interface. Deleted request types now display [D] (Deleted) in the checklist templates. Clients can now see tickets for all request types. Request types configured for use as an FAQ category now display properly. The MySQL database upgrade no longer fails when you upgrade Web Help Desk to the next release. Archived request types can no longer be selected by clients and techs. Request Type ticket widgets no longer display query processing errors. An issue with creating checklist temples is resolved. Issue: When you log in to the Client user interface and click History or Profile, the text in the remaining toolbar options change from white to blue. Resolution/Work-around: None at this time. Issue: When you log in to the Client user interface and click History, the URL column does not display link icons for tickets that contain URLs. Resolution/Work-around: In the Tech interface, click Setup > General > Options and ensure that the Show Icons for Referenceable URLs checkbox is selected. Issue: When you open a ticket and click the Ticket Details page, the ticket notes intermittently disappear in the Notes section. Issue: OpenJDK 11 and TLS 1.2 conflicts prevent you from running Web Help Desk in FIPS mode. See the End of Life Policy for information about SolarWinds product lifecycle phases. For supported versions and EoL announcements for all SolarWinds products, see Currently supported software versions.